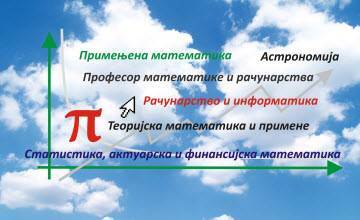 Welcome to the website of the Faculty of Mathematics! It is my honor and pleasure to share the pride of all of us who are part of the Faculty of Mathematics. 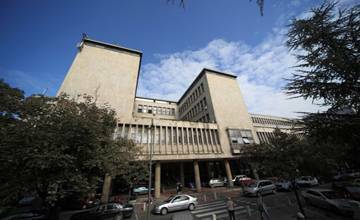 This website offers a view into the programs of this institution, which has a long tradition within the University of Belgrade. Up to present day, we have more than 6000 graduate mathematicians, 400 doctors of mathematics and computer sciences, 700 Magisters of Science and many specialists. Numerous graduates occupy various positions in research institutions, government offices, companies and schools in the country and abroad. It is a quality indicator of the studies at the Faculty of Mathematics. Our dedication to research and personal commitment to students and teaching make us stand out. All study programs at all three levels of studies at the Faculty of Mathematics are regulated according to the Bologna principles. Through recently re-organized and improved studying programs, students receive challenging learning opportunities through strongly integrated classroom instruction and faculty-supervised research experiences. From the first steps on the Faculty, the students are motivated to move their boundaries of learning and knowledge. We our proud to point out that our students have been successful in international competitions for years now. As a rule, they are in high places on the ranking lists in regional, European and World Championships. Many of our graduates continue their Master or PhD studies in prestigious universities abroad. However, there is also a tendency to bring young people back to the country after postgraduate studies abroad. The practice of the Faculty of Mathematics is to care for staff rejuvenation by inclusion of fresh graduates into the teaching process. The objectives that we have in front of us can be attained only if we comply with several important tasks including organizational and institutional strengthening, strengthening of professionalism, responsibility, recognition and loyalty and our future development and position in society will depend on the success of the implementation. Our Faculty is here to ensure that you become educated and effective in performing the duties and to become professionals who can comply with all requirements imposed by today's market. 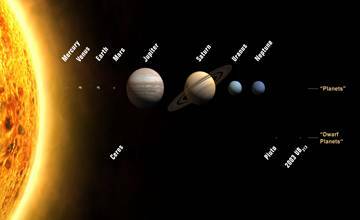 With great career opportunities and a world of choice offered through the Bologna educational model, there has never been a better time to study Mathematics, Informatics, Theoretical Mathematics, Applied Mathematics, Computer Science, Statistics, Actuarial and Financial Mathematics, Astronomy, Computer Mechanics and Astrodynamics, Astrophysics and Astroinformatics. We encourage you to visit us, talk with our professors and students and they will be happy to answer your questions. 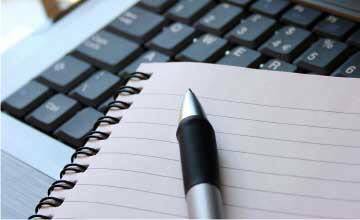 In the end I would like to add that you can personally contact us for all the facts that you can't find online. We’ll be happy to meet you.